During the past few years, the development of "shale gas" and "shale oil" in the US, generated a wave of optimism that spread widely in the mediasphere. It was common to hear of "a century of abundance" or even of "centuries" provided by these new sources. However, with the recent collapse of the oil market, these claims seem to have gone the same way as those of the sightings of the Loch Ness monster. But there remains a point to be made: what is exactly the limit to what we can burn? Could we really keep burning for centuries? Or, maybe, even for millennia or more? Let's see if we can make a calculation, at least in terms of order of magnitudes. The first question is how much fossil carbon do we have on this planet. The total is reported to be about 1.5x10+16 t (metric tons), mainly in the form of kerogen, a product of the decomposition of organic matter which is a precursor to the formation of fossil fuels (gas, oil, and coal) (2) . It looks like a lot of carbon, especially if we compare this number with the amount we are burning nowadays. The data reported by CDIAC (Carbon Dioxide Information Analysis Center) report 9.2x10+9 t of carbon transformed into CO2 as the result of fossil fuel burning (gas+oil+coal) in 2013. As an order of magnitude estimate, at this rate, we could go on burning for more than a million years before truly running out of fossil carbon. But, obviously, that's not possible. Simply, there is not enough oxygen in the atmosphere to burn all the existing fossil carbon. The total amount of free oxygen is estimated to be about 1.2x10+15 t or 3.7x10+19 mol O2⁠ (a "mole" is a unit used in chemistry to compare the amount of reactants in chemical reactions). One mole of molecular oxygen will react with exactly one mole of carbon to form carbon dioxide and, since 1.5x10+16 t of carbon correspond 1.25x10 +21 mol, there follows that we cannot possibly burn more than about 1% of the existing fossil carbon. Instead of a million years, we are down to about 10,000 years. Of course, then, burning that 1% of carbon would mean to use up all the oxygen of the atmosphere and that would be bad for us, no matter how much we need fossil fuels. In practice, we can't use up more than a few percent of the atmospheric oxygen; otherwise the effect on human health and on the whole ecosphere would be likely disastrous. Let's say that we are willing to bet that a 5% loss is still safe, even though nobody could be sure about that. It means that we only have 500 years or so to keep on burning before we start feeling symptoms of suffocation. But the story doesn't end here. So far, we have been reasoning in terms of the total amount of fossil carbon as if it were all burnable, but is it? Kerogen, the main component of this carbon, can be combined with oxygen producing a certain amount of heat (3) but it can hardly be considered as a fuel, because it would be very expensive to extract and the net energy yield would be modest or even negative. 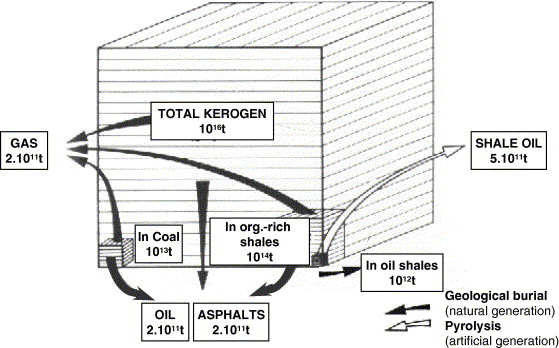 In 1997, Rogner (4) carried out an extensive survey of the carbon resources potentially usable as fuel. At page 149 of this link, we can find an aggregate estimate of 9.8x10+11 t of carbon as "reserves" and up to 5.5x10+12 t of "resources", the latter defined as not economically exploitable at the current prices. "Additional occurrences" are reported to a possible amount of 1.5x10+13 t of carbon, but that is a rather wild estimation. If we limit ourselves to proven reserves, we see that at the present rate of about 1x10+10 t/year we would have about a century of carbon to go. We are not finished, yet. We now need to consider how much carbon we can combine with oxygen before the increased greenhouse effect caused by the resulting carbon dioxide generates irreversible changes in the Earth's climate. The "tipping point" of the climate catastrophe is often estimated as that corresponding to a temperature increase of 2 deg C and, in order not to exceed it, we should not release more than about 10+12 t of CO2 in the atmosphere. That corresponds to 3.7x10+11 t of carbon (5). This is about one third of Rogner's global reserve estimate. So, at this point, we don't have a century any more, but only about three-four decades (and note that the estimation of what we can burn and still avoid catastrophe may have been optimistic. See also here for a more detailed estimate that takes into account different kinds of fuels). You see how misleading it can be to list carbon resources as if they were soldiers lined up for battle. Not everything that exists inside the Earth's crust can be extracted and burned and we can't afford to extract and burn everything that could be extracted without wrecking the atmosphere. Taking into account the various factors involved, we went down from more than a million years of supply to just a few decades. But, of course, calculating the number of remaining years at constant production rates is also misleading. In practice, fuel production rates have never been constant over history; rather, the production tends to follow a "bell shaped" curve that peaks and then declines. Today, we may be close to the peak (See e.g. here). Will the impending decline save us from catastrophic climate change? At present, we cannot say; too many are the uncertainties involved in these estimates. 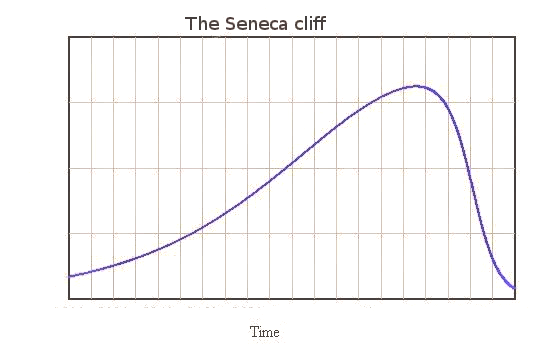 What we can say is that we are not facing centuries of abundance, but a decline which might even very rapid, considering the possibility of a "Seneca collapse." In short, the age of fossil fuels is ending. It is time to take note of that and move to something else. (1) M. Vandenbroucke, C. Largeau, Kerogen origin, evolution and structure, Organic Geochemistry, Volume 38, Issue 5, May 2007, Pages 719-833, ISSN 0146-6380, http://dx.doi.org/10.1016/j.orggeochem.2007.01.001. 2. Falkowski, P., R.J. Scholes, E. Boyle, J. Canadell, D. Canfield, J. Elser, N. Gruber, et al. 2000. “The Global Carbon Cycle: A Test of Our Knowledge of Earth as a System.” Science 290 (5490) (October 13): 291–296. doi:10.1126/science.290.5490.291. http://www.sciencemag.org/content/290/5490/291.abstract. (3) Muehlbauer, Michael J., and Alan K. Burnham. 1984. “Heat of Combustion of Green River Oil Shale.” Industrial & Engineering Chemistry Process Design and Development 23 (2) (April): 234–236. doi:10.1021/i200025a007. 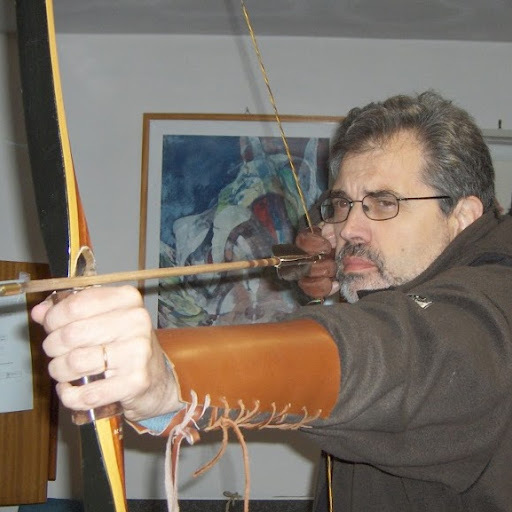 http://dx.doi.org/10.1021/i200025a007. Annual Review of Energy and the Environment 22 (1) (November 28): 217–262. doi:10.1146/annurev.energy.22.1.217. http://www.annualreviews.org/doi/abs/10.1146/annurev.energy.22.1.217?journalCode=energy.2. (5) IPCC. Climate Change 2013: The Physical Science Basis. (Cambridge University Press, 2014). There are 365 days this year. You spend 30 minutes each day on coffee break. That accounts for 23 days each year, leaving only 68 days available. With a one hour lunch period each day, you have used up another 46 days, leaving only 22 days available for work. You normally spend 2 days per year on sick leave. This leaves you only 20 days available for work. We are off for 5 holidays per year, so your available working time is down to 15 days. We generously give you 14 days vacation per year which leaves only one day available for work and I'll be damned if you're going to take that day off! But wouldn't green plants continue to produce oxygen even as it combines with carbon? Well, no.... On the average, the biosphere consumes as much oxygen as it produces. The unbalance is due mainly to the segregation of "fossil" carbon in the crust and it is a very, very slow process. Of course, if we burn this fossil, we reverse the process and we do that much faster! Being a cornucopian has much to do with ignoring the second law of Thermodynamics. For them the supply curve of any fossil fuel is a flat line: no matter how much demand sways rightwards, the price is left unmoved - business as usual. In real life not all fossil carbons and are really fuels, since most are net energy negative; others may be slightly positive but are uncompetitive with alternative energy sources. In 2014 global CO2 emissions declined visibly and the trend is so far enduring into 2015. While economic policy is certainly to blame, this trend might not be merely circumstantial. I am not very impressed. The kind of models they use are oversimplified and may easily diverge from reality. They found that the oxygen concentration may go to zero in relatively short times, and that has never happened during the whole Phanerozoic. So, I wouldn't worry too much, unless we really manage to do something horrible to the ecosystem..... which in the end we might! I appreciate that reality check. You confirmed what I suspected. Other than looking past the idiots that post garbage from reddit, like the billybub or whatever handle that person who referred to that is, I have made a projection that includes feedbacks as well. I believe that with a Paris agreement, temperatures by 2100 will hold at 2.5-3.5C, give or take. Do you think I'm in the right neighborhood, and what is your opinion on possibly using SRM to keep temperatures stable if the need arises?